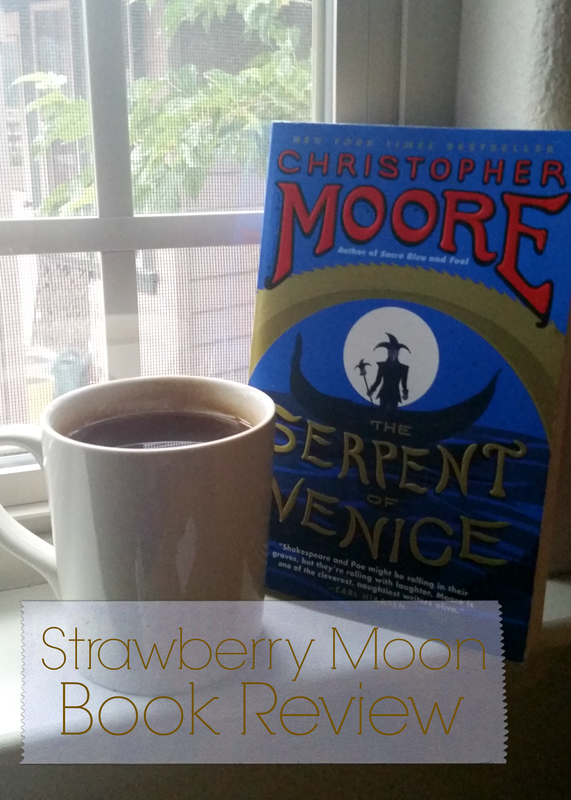 I’m finally easing into doing some book reviews around here, although they are definitely not the main gig at Strawberry Moon. Now that I’ve graduated from college, I’m finally able to read for pleasure again though so I thought it might be fun to share some basic thoughts and reactions about my new reading material! First up is a book I just finished last week, by one of my favorite authors. Summary: Pocket, court fool and the star of Moore’s previous Shakespearean spoof, Fool, finds himself in Venice, Italy at the height of the city’s power. He battles corrupt politicians, fights for his life in an underwater dungeon, has a fling with something that may or may not be a mermaid and generally annoys everyone from Florence to the Ottoman Empire. Favorite character: Othello. I went into this book unsure how Moore could make Othello a particularly likable character. This is a guy who commits murder-suicide in the source material, after all. Yet somehow I found myself rooting for him. Although it does seem like a bit of a cop-out for most of Othello’s jealous rage to come from an outside source as it does in The Serpent of Venice, Moore manages to make him not only likable but even dryly funny. Of all of Moore’s characters, both original and based on earlier incarnations, Othello is at the same time the most transformed and yet remains one of the most recognizable. Reactions: Moore started with a lot of source material for this book, pulling from multiple Shakespeare plays as well as an Edgar Allan Poe story. It could easily have turned into an oversaturated mess but the melding of stories and texts is fairly seamless. I was most skeptical about the inclusion of Poe’s Cask of Amontillado but Moore manages to fit in the roots of the story without compromising his otherwise Shakespearean setting. Pocket is always a delight and Moore’s irreverent sense of humor is just perfect directed at texts that have so long been considered the sacred and untouchable of English literature. I also really appreciated his endnotes regarding the inherent sexism and anti-Semitism of many Shakespearean works, especially The Merchant of Venice. Although most of the focus of The Serpent of Venice is on the funny, the gory and the vulgar, (as one should always expect from a Moore production), he offers certain insights into not only his extensive historical research but also the process through which he filters outdated ideas and conceptions into modern-day vernacular.